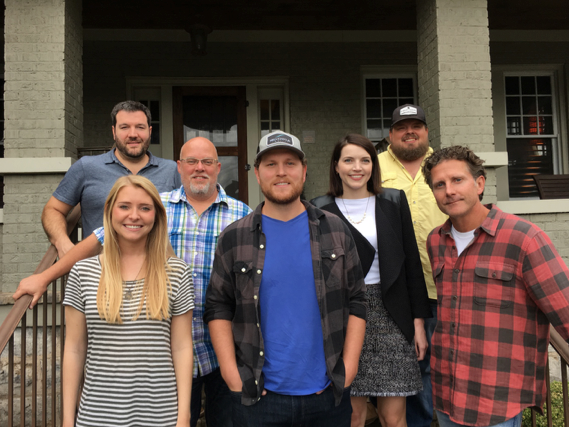 Sea Gayle Music has renewed its deal with songwriter Smith Ahnquist. The Danville, Kentucky native signed his initial worldwide publishing deal with Sea Gayle a few years ago. “Sea Gayle is my home. There is no where else I’d rather write. These past few years have been amazing, and I’m excited for what’s next,” says Ahnquist. Ahnquist has had songs recorded by artists like Florida Georgia Line, Brad Paisley, Jameson Rogers, Justin Moore, including the recent top 20 hit “Last Time For Everything” by Brad Paisley. “Smith is such a talented songwriter, a genius with developing ideas and lyrics. We’re thrilled to be extending our partnership with Smith and can’t wait to be his partner in the great things that are going to happen for him over the next several years,” says Executive Vice President/General Manager, Marc Driskill. Sea Gayle Music, established in 1999 and co-owned by Chris DuBois and Brad Paisley, is an independent music publisher and artist development company based in Nashville, Tennessee. Sea Gayle has 48 No. 1 songs in its catalog and has earned ASCAP Country Publisher of the Year twice out of the past six years.